I'm typically not a fan of pale pinks and beiges when it comes to nail polish. 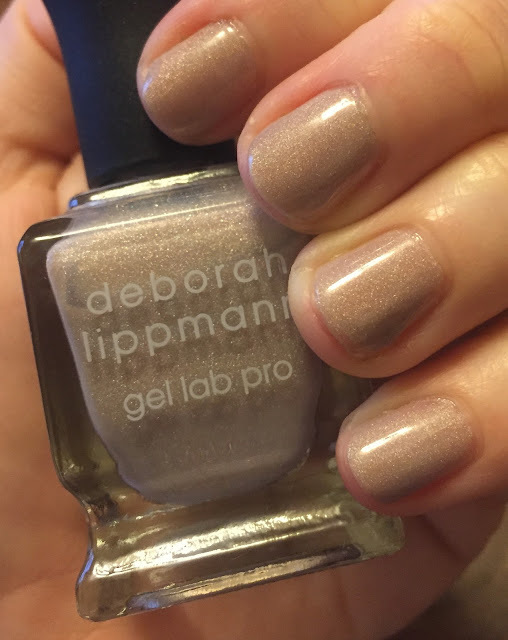 But from the moment I laid eyes upon Deborah Lippmann Dirty Little Secret Gel Lab Pro Nail Polish from the Spring 2016 Afternoon Delight Collection, something about it really struck me. 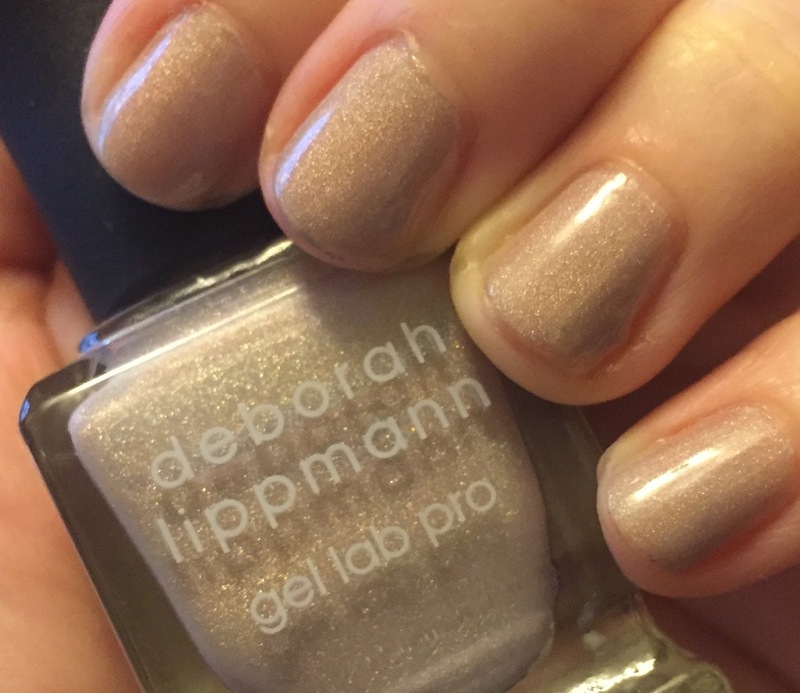 Holographic shimmer galore in Deborah Lippmann Dirty Little Secret. I mean, come on. Just look at that holographic shimmer. How could I NOT fall instantly in love? I'm a sucker for anything shimmery, especially holographic nail colors, so this was an instant win before I even bought it. Team that with a pale greige and, well, I'm sold. This color is pretty spectacular -- it glimmers, it sparkles, it shines, and somehow it's still understated enough to wear during the day or overstated enough to wear out for the evening. The Deborah Lippmann Gel Lab Pro polishes are created with 10 active ingredients for a glossy, cushiony, long-lasting manicure. And get this. Deb has reworked the brush as well, creating an innovative contour brush with a whopping 320 bristles! Even before finding out that the brush was a new design, I could tell that the curved, slightly oversized silhouette was really gripping my nails and applying polish evenly to the entire surface while somehow staying off my cuticles and fingers. The rounded brush follows the nail shape perfectly. A closeup of the holographic greige goodness of Deborah Lippmann Dirty Little Secret. Shimmery, glimmery and almost pink when hit with flash. I found that two coats yielded perfect, even color with no streaks or patchy spots. I'm also already on day 3 of this manicure with NO CHIPS. I'm not even wearing my typical base and top coat! I'm pretty amazed at how well this polish is holding up. My dirty little secret? I'll be wearing this polish EVERYWHERE. 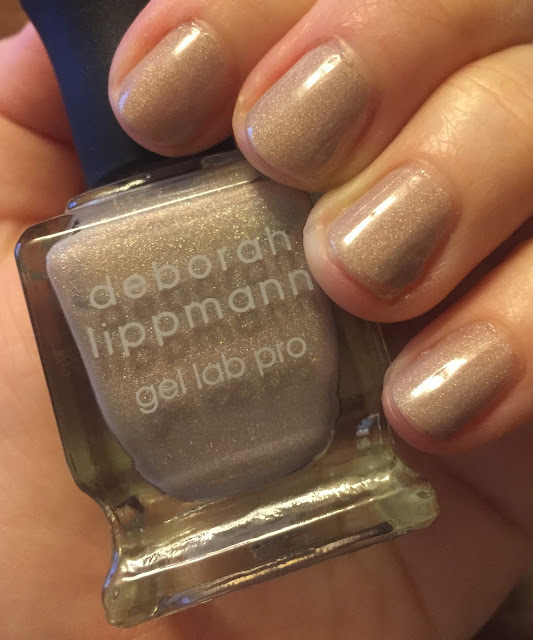 Deborah Lippmann Dirty Little Secret Gel Lab Pro Nail Polish retails for $20 at sephora.com. I love nudes and I love holos so this shade is a win-win for me!! Love the color! It would be great for a leopard print. I love soft shades like this with a touch of sparkle. This one is really pretty! The color is so pretty. I never realized DL had this type of formula since I don't purchase nail polish nearly as often as I used to. I love that shade even though I couldn't figure out why you called it pink until the end. I love this shade! I'm thinking I might (or definitely) need it. Perfect for work-wear. Neutral enough, but with enough interest. The touch of sparkle is so pretty. This is a very elegant color! It reminds me of a Julep shade that I have called Cynthia. I really love nudes and this is so pretty. I gave up on DL polishes when the price point increased because I don't feel they're different enough to justify the cost.